Gearing up for The River Launch! Well, things are coming together and this book launch may prove to be the biggest and best Edmonton has ever seen! On October 8th, a private launch party by invitation only will be held on the upper level of Cappuccino Affair at 4341-50th Street, in Edmonton. There is limited seating open to the public on the lower level, and everyone who comes out to see me will qualify to enter for some fabulous door prizes. So come on down, even if only for a quick coffee and to enter! The launch party will start at 7:00 pm and the schmoozing and fun will continue until 10...or later for some of us die-hard partiers! Victor Guan, the wonderful owner of Cappuccino Affair, will be offering some special munchies and complimentary coffee to the upper level...and there's a possibility that everyone may get a FREE coffee! All of my books will be available to buy, and I will be autographing them. A special discount applies to all three titles, so this is the best time to grab up copies of Whale Song, Divine Intervention and The River!! So come down to The River Launch on October 8th, from 7 pm to 10 pm, and enjoy a delicious Chai Tea Latte or Cafe Rolo. The River is "a bumpy ride"! 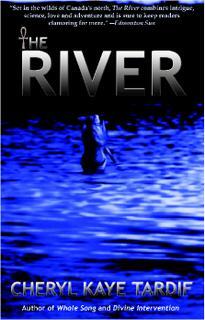 Reviews are in on The River! 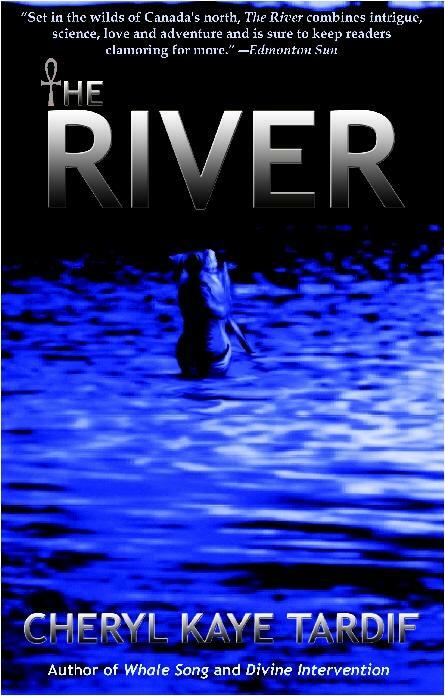 According to Heather Andrews Miller, who wrote a full book review to be posted in a future edition of the Edmonton Sun, "Cheryl Kaye Tardif has once again captivated readers in her third novel and latest suspense thriller, The River. Set in the wilds of Canada's north, The River combines intrigue, science, love and adventure and is sure to keep readers clamoring for more." "Exciting and vivid. Tardif's latest novel sweeps readers along into uncharted, wild Canadian territory. A thrilling adventure where science sniffs harder, desperate to find the fountain-of-youth." "A wild river ride of tension, intrigue and romance as a motley crew of adventurers take you on a search for a man of the past who holds the key to the future, and the secret to eternal youth and power. Hang on--it's going to be a bumpy ride! Excellent read!" Available the end of September 2005!